Specialist themes in music education. The editor-in-chief is Professor Dawn Bennett. The two series offer a focused conduit through which members of ISME and their colleagues can publish scholarly and instructional work. ISME also created a partnership strand through which it works with partner organisations around the world to enable publications from diverse contexts and across our membership. The series reflect domains in which the global ISME membership engages, promising a cohesive body of work that aligns with the mission of the Society and is resonant of scholarship, practice and research undertaken in its name. Leadership and the development of musicians in higher music education (edited by Dawn Bennett, Jennifer Rowley and Patrick Schmidt. 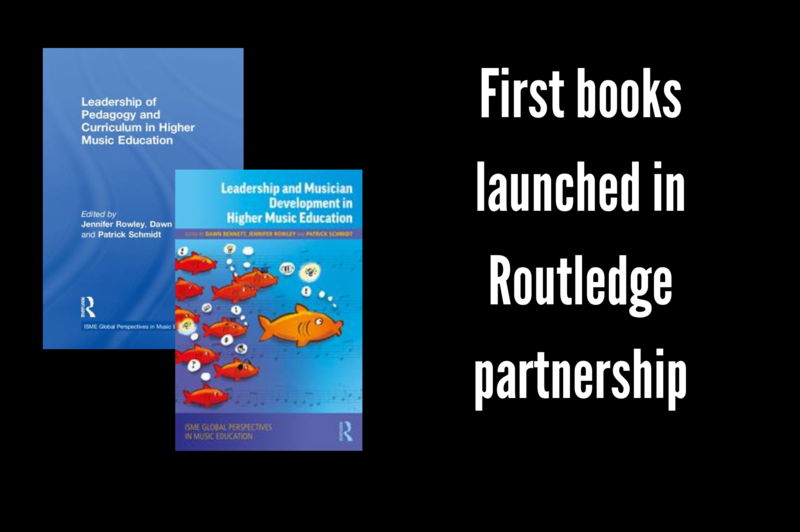 Leadership of pedagogy and curriculum in higher music education (edited by Jennifer Rowley, Dawn Bennett and Patrick Schmidt. Social justice in and through music (edited by Anna Reid, Neal Peres da Costa and Jeanell Carrigan). Discourses on difference in music education (edited by Alexis Anja Kallio). A short monograph (40,000 words) addressing a key theme from within a particular area. Collaborative cross-field investigations are encouraged. Links to the proposal document, reviewer questionnaire and author guidelines are included below. To be included in, contribute to and/or submit a proposal, authors must be, or must become, a member of ISME or its partner organisations (e.g. CMEA). Questions should be directed by email to the editor-in-chief, Professor Dawn Bennett. The series Global perspectives in music education reflects topics of broad and critical interest to music education. The themes are fluid, changing with time and responding to the contemporary issues and need of music educators worldwide. The series Specialist themes in music education explores specialist themes addressed by the ISME commissions, forum and standing committee. The designated areas are well established within the Society, with leading experts already leading cutting-edge research, scholarship and educational change. Areas explored by the membership are listed below; however, the editor welcomes proposals which address boundaried work and new areas of interest. ISME works with partner organisations around the world to enable publications from diverse contexts and across our membership. The first book in the Partnership strand is with the Canadian Music Educators’ Association. We welcome proposals from other ISME Partners including professional associations and organisations. Our collaboration with the CMEA/Acme encourages and enables contributions from CMEA/Acme members. More information including how to buy the books is here.